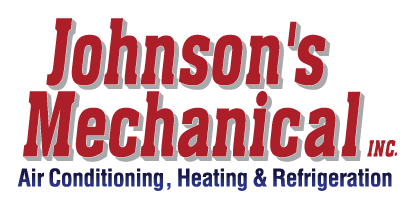 Air Conditioning Repair, Auburndale, FL | Johnson's Mechanical Inc. Air Conditioning Repair, Auburndale, FL | Johnson's Mechanical Inc. If your property is in Auburndale, you can always trust our team members at Johnson’s Mechanical Inc. to handle air conditioner repair. When the humidity levels are high and the temperatures are hot here in Auburndale, Florida, you probably rely heavily on the air conditioner in your home to keep your family comfortable. The air conditioning system also helps to remove excess moisture from the air, reducing the chance of mold growth and other damage that can come from indoor humidity. If you lower the temperature on your thermostat, but cool air doesn’t start flowing through the vents, you may need to call an HVAC technician to take a look at the system and determine whether you need air conditioning repair. If your property is in Auburndale, you can always rely on our team members at Johnson’s Mechanical Inc. to handle air conditioner repair. We’re available for emergency service 24 hours a day, 7 days a week, and we offer fast, reliable repairs for each of our clients. One of the best ways to avoid the need for air conditioning repair is to get started on our preventive maintenance plan. We’ll send a technician out to your home or office regularly to check all components of the system and make sure everything is working properly. If we find anything that is wearing out, we can replace it before the system stops producing any cool air, leaving you in an uncomfortable position on a hot summer day. No matter where you purchased your system or what brand it is, you can trust that our technicians can handle the repairs. We stand behind our work and offer the highest level of service to every customer we serve. Our team specializes in both commercial and residential air conditioning repair in Auburndale, so contact us today to schedule your appointment.